The beautiful thing about Key West is that almost every bar is also a restaurant serving delicious food—and, at almost all of these establishments, there’s live music rocking and rolling day and night. If you’re looking for a hearty meal, a cold drink and a band that will keep your feet tapping and a smile on your face, you’re in luck! These are the best restaurants in Key West with live music. For an authentic Cuban meal steps away from the waterfront, look no further than family-owned and operated El Meson de Pepe. 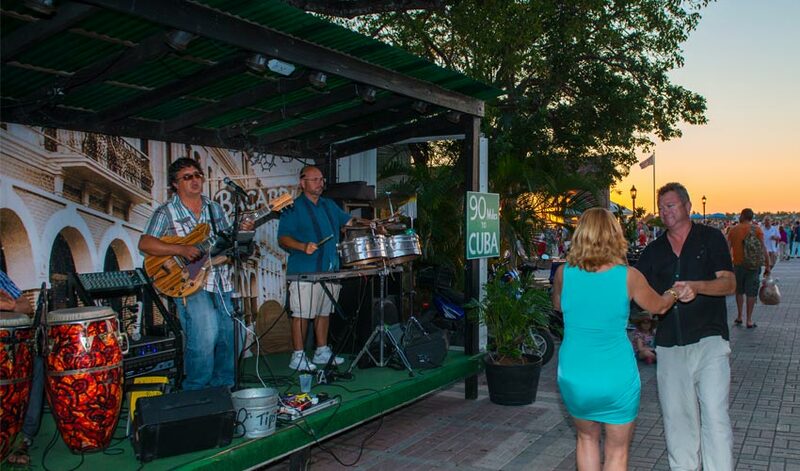 Enjoy ropa vieja with plantains, rice and black beans along with a frosty mojito at sunset and listen to the beautiful melodies of a live salsa band. It’s the best way to enjoy Key West’s famous Sunset Celebration on Mallory Square in style—and with great food! 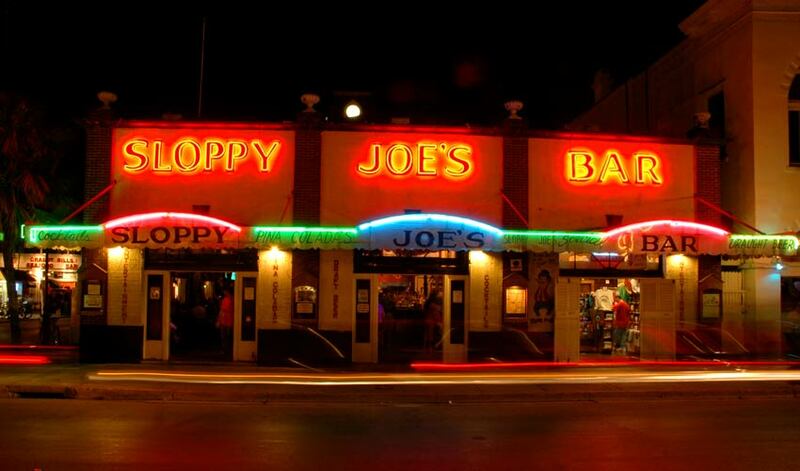 There’s a reason Sloppy Joe’s is Key West’s most iconic bar and restaurant. Live music, from country and western to rock ‘n roll, takes center stage from noon to late night every day—and there’s a great menu of food and drinks. This is the place to enjoy the namesake Original Sloppy Joe sandwich made with ground beef in a rich tomato sauce with onions, peppers and spices. Other highlights include the South Carolina pulled pork BBQ sandwich, blackened fish sandwich, a delicious cheeseburger and a wide variety of pizzas. Smokin’ Tuna Saloon is the official host of the Key West Songwriters Festival in May and the unofficial bar to hear great live music year round. Look for acts like Scott Kirby with Caffeine Carl and other regulars to keep the party grooving. You can indulge in delicious dishes like the namesake smokin’ tuna dip, which is not to be missed, and everything from conch fritters to oysters on the half shell and a juicy burger. As their slogan goes, “Hog’s Breath is better than no breath at all.” This funky open-air bar and restaurant is always buzzing with live music by local and visiting singer-songwriters, drawing a fun crowd. They serve a great bar food menu with exactly what you’re hankering for at such an establishment. Go for the Hog Dog with chili and cheese and a Planters rum punch. You’ll definitely be back for more. Located in the rear of the Rick’s entertainment complex, Durty Harry’s is where you go when you want to rock out to a live band in a concert-like venue. When you get hungry, head to the pizza window near the Tree Bar for a slice or two of their signature pie. Ask for a bottle of hot sauce and douse your slice just like the locals do. One of the most picturesque places to enjoy live music and a great meal is Sunset Pier at Ocean Key House overlooking the Key West Channel. Snag a pastel bench on the dock overlooking the water for unobstructed views of the sunset, while their crooners sing everything from Motown to trop rock. Order a pina colada and fish tacos or the lobster roll and soak in the good vibes. Of course, a trip to Key West is incomplete without “wasting away again in Margaritaville.” Jimmy Buffett’s famous restaurant is the perfect place to indulge in that “Cheeseburger in Paradise” along with a margarita, of course. Enjoy live music day and night, and hop over to the souvenir shop to bring a little piece of Parrothead paradise home with you. Irish Kevin’s offers more than just live music. They’ve got a whole host of guitar-clad entertainers who interact with the crowd, tell jokes and keep the energy lively, day and night. They’ve also got a nice pub grub menu to go with their stellar craft beer lineup, which includes quesadillas, soft pretzels and a Cuban mix sandwich.